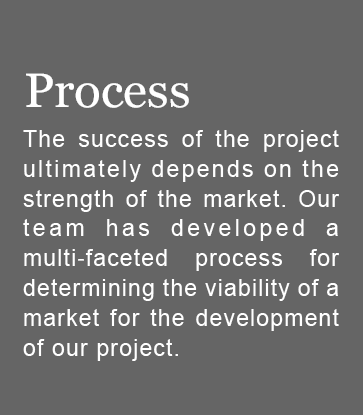 Clearpath Senior Holdings gets the importance of bringing a community's culture into their development practices to provide a high-quality, cost-effective, welcoming home-style environment which meets the needs of both the resident and the community. 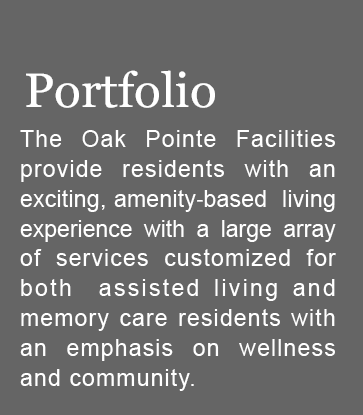 ClearPath Senior Holdings is a privately-held senior living investment and development company located in St. Louis, Missouri. 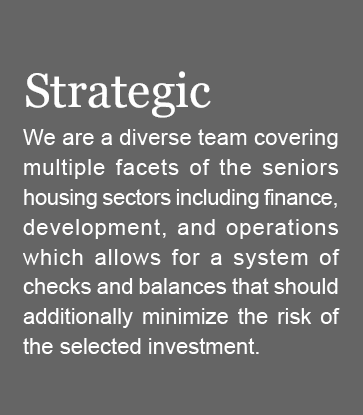 ClearPath's business initiatives center on creating value for its stakeholders through the development and acquisition of seniors housing facilities. 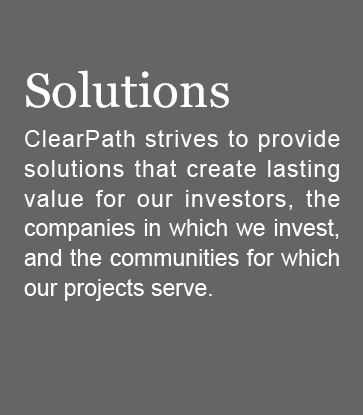 ClearPath strives to create lasting value for our investors, the companies in which we invest, and the communities we serve.